We undertake restoration and repair work ensuring the finished product will be identical to the eye and blending in with the surroundings. 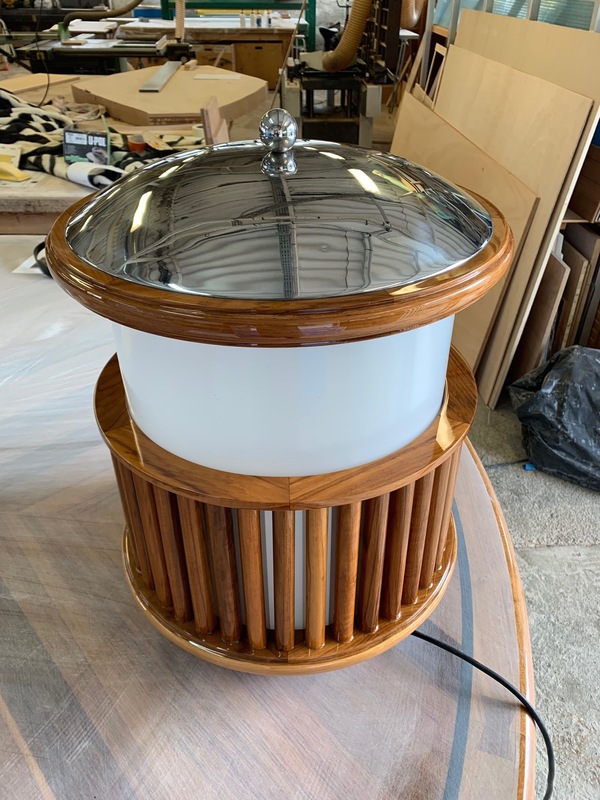 Detailed carpentry, metal work and varnish for these one off lanterns to fit the bespoke design of the yacht. 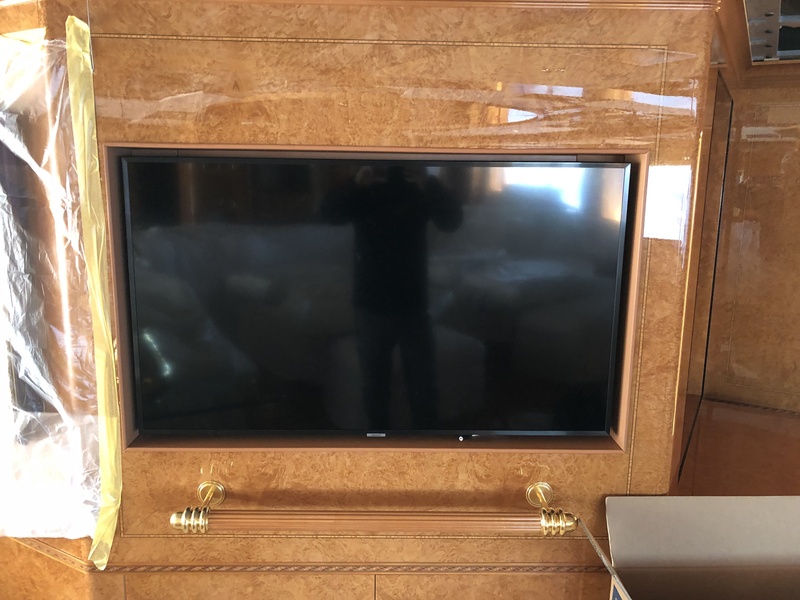 Fitting of TV screen flush mounted with leather panels. 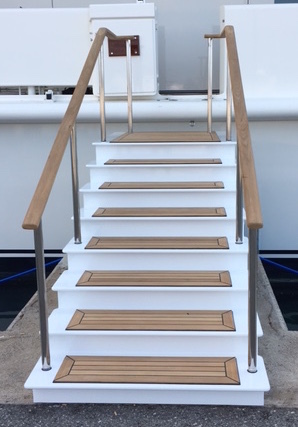 Fabrication of boarding stairs with teak capping rail and teak deck sections on steps. 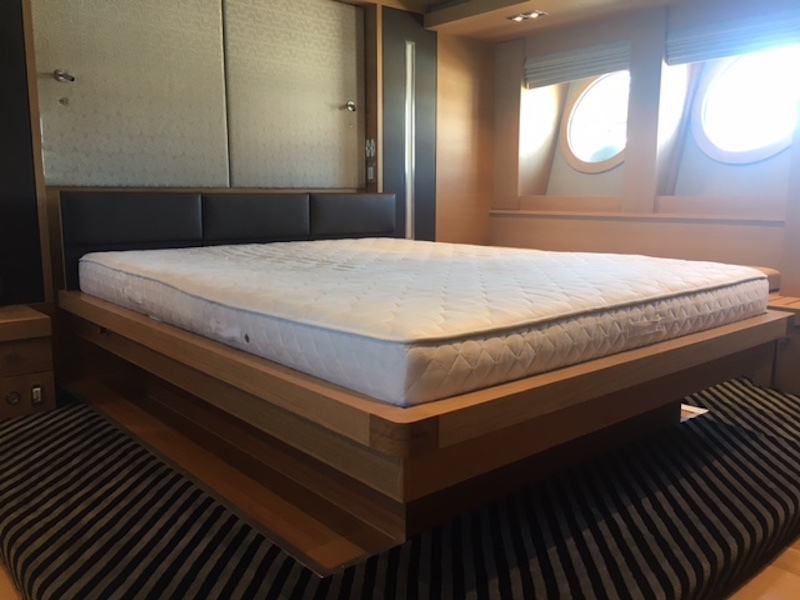 Fabrication and fitting of bed frame for self stabilising ‘STABLE’ bed. 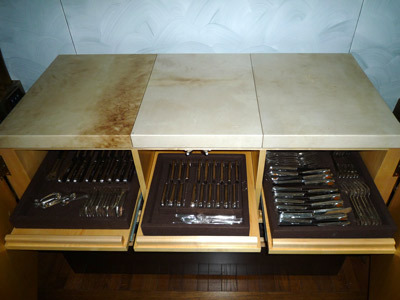 On M/Y St Nicholas this fitted cabinet was water damaged. 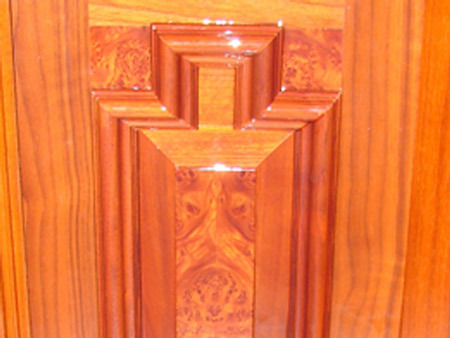 We manufactured new panels and bottom piece with identical wood, veneer and colouring. 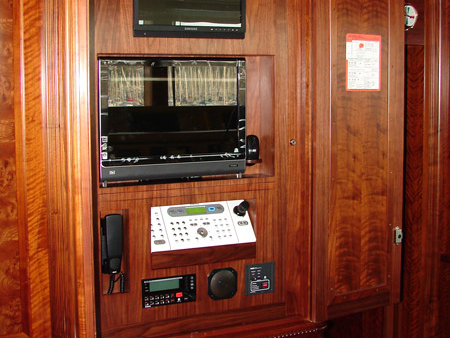 We manufactured cabinet with new electronics with slide out system to access switchboard.